Headquartered along the banks of the mighty Mississippi River, Republic is a dynamic, customer-driven, third-generation business that believes in the premise of listening, caring and adapting with a “yes we can” attitude. Since our humble beginnings in 1916, we have grown to be a leading wholesale distributor of electrical, energy management, heating, air conditioning, hydronics, refrigeration, and sign support systems. 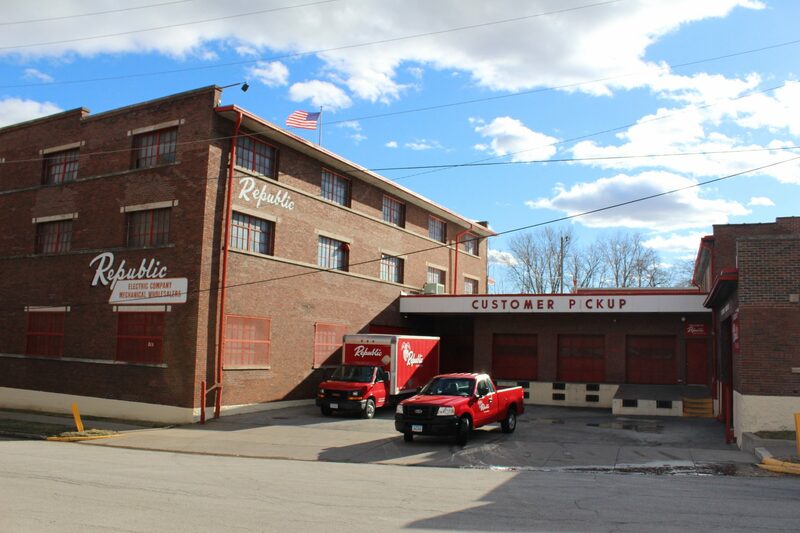 As one of the largest independent wholesale distributors in the Midwest, Republic blends a strong and colorful history with aggressive management and technology of today. Republic is a first-class provider of electrical and mechanical supplies for industrial, institutional, governmental and contracting communities in Central and Eastern Iowa, Western Illinois and Southern Wisconsin. This is possible because Republic stocks over 40,000 different products, stored in eight buildings with over 130,000 square feet of warehouse space. Friendly, knowledgeable people always ready to help you. When you need a company with the ability to respond, call Republic. We deliver ResponseAbility. Along with customer-driven service and reliability, Republic offers daily delivery from a 15 truck fleet. In addition, we are committed to keeping our customers trained and informed through free seminars and comprehensive programs on topics such as EPA testing/certification, high voltage terminations, explosion proof, UPS systems and residential HVAC troubleshooting, just to name a few. Republic promises to provide the products, technical knowledge, customer service and fast response times you need to keep your business successful and growing. Contact us at the Republic branch nearest to you or submit an inquiry online.